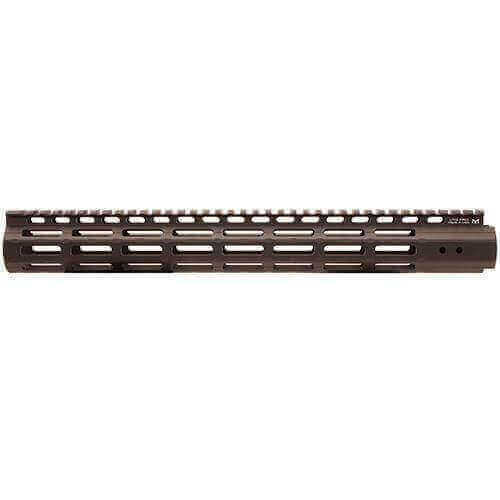 The UTG Pro M-LOK Free Float Handguard Super Slim line with Proprietary Barrel Nut Design is perfect for anyone looking to improve the appearance and performance of their AR. Precision Machined from 6061-T6 Aircraft Grade Aluminum with Matte Black Hard Coat Anodize for a tougher finish. Designed for Standard Mil-spec AR15 Upper Receiver – you can never go wrong with this handguard. Upgrade today! Available in 13″,15″ and 17″. Easy to in stall. Looks great! Thanks for sharing your experience, Henley. We're glad you're satisfied with your purchase. Cheers! Easy install, great fit, feels good and looks great. I really love the quality of finish to this US-made UTG handguard. It is super slim and light, and has a nice rounded/octogonal profile that is comfortable to hold without the need for additional grips. The barrel nut mounting system is easy to align and feels very secure. Considering it has a full top picatinny rail and includes a 8-slot m-lok rail section and QD sling adapter, you may not need anything else! It perfectly finished off my new CA "featureless" build.